The second series of Bake Off: Crème de la Crème starts tonight on BBC Two at 8.00 pm with top pastry chefs Benoit Blin and Cherish Finden as judges. 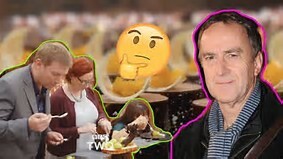 A new host takes over from Tom Kerridge in this series, with Angus Deayton fronting the spin-off show. The focus is on high-end, professional patisserie and chocolaterie, with teams of three taking part in increasingly difficult challenges. While the original Bake Off show has migrated to Channel 4 after a controversial deal last year, Crème de la Crème will remain on the BBC for now. This year sees the format revamp slightly, including knockout stages requiring the five teams to battle it out for a chance to stay in for the next heat. French chef Blin, the chief patissier at the two starred Belmond Le Manoir Aux Quat Saisons, and the notorious difficult to please Finden will return as judges. Finden is well known as afternoon tea superstar and former executive chef at the five AA-star hotel, Langham in London. Former third judge, Claire Clark will not be taking part in this second series. 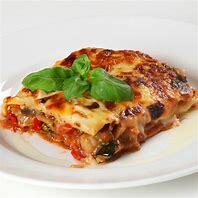 Two Michelin-starred Tom Kerridge, presenter of series one, has also left, with outspoken presenter Angus Deayton stepping into his shoes. The show has been widely praised as helping to raise the profile of professional pastry and chocolaterie in the UK. Blin is quoted in a BigHospitality press release as saying that the series might encourage pastry chefs, who might otherwise be hidden away in the kitchen, to push themselves and to raise the bar. 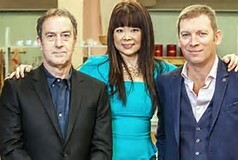 Don't miss the first show tonight when the teams must make 36 identical moka au cafe slices and 36 identical napoleons.